>I pray that it may be a wake-up call for those who, like myself, have realized their failure in filling their biblical role as a husband and a father but have sought forgiveness from Christ and desire to finally "step up to the plate" with His guidance. >I pray that it will be an encouragement for those wrestling with issues in their family studies and personal studies of the Word of God. >I pray that I may be able to offer guidance in structuring and maintaining family Bible studies and worship times. >I pray that I can offer counsel in the teachings of Scripture concerning the role of family in the corporate services of the local church. >I pray that the reviews of materials I offer would be beneficial to a Gospel driven Family. 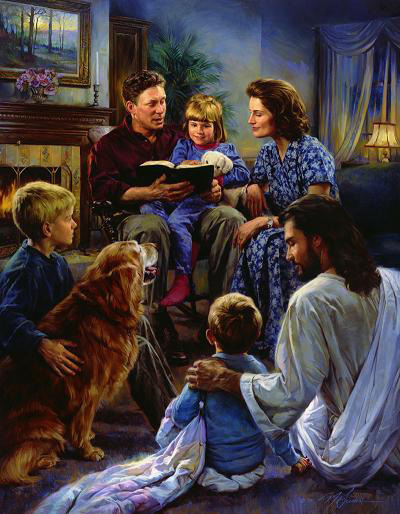 >I pray that some of the examples I give of how your entire family can be activley engaged in biblically sharing the Gospel of Jesus Christ would be a source of encouragment to you. >I pray that whatever convicting may be wrought in our lives will come as a result of the working of the Holy Spirit to further conform us to the image of our Lord and Savior Jesus Christ. These prayers will be posted on a tab in this blog so that there is no confusion as to its purpose. I hope you will enter your email address in the subscription box to the left to keep up with the latest on this blog. I pray that the Lord will use this to bring Him further glory. Thank you for stopping by!